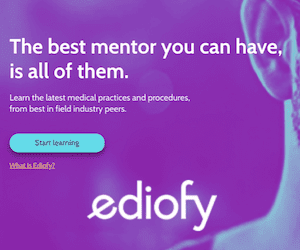 Home | LITFL | Clinical Cases | CAP Challenge! This ‘Microbial Mystery’ consists of 5 different scenarios of adult community acquired pneumonia (CAP) in Australia. It focuses on the causative organisms and the appropriate selection of antibiotics according to the Pneumonia Severity Index (PSI) scores (aka the PORT Prediction Rule) and the Australian-based Therapeutic Guidelines. As always, it is wise for doctors to consult local guidelines or seek specialist advice as pathogen frequency and antibiotic sensitivity may vary. You can calculate PSI scores here. A previously well 25 year-old man has CAP with dense consolidation of the right middle lobe. He is immunocompetent and has not traveled to tropical Australia or overseas. Using the PSI score he has Class 2 severity. Q1. What are the likely bacterial causes? The most likely cause is Streptococcus pneumoniae. We are classically taught that lobar consolidation is typical of pneumonococcal pneumonia and that atypicals cause a more diffuse bronchopneumonia. In the real world this is not always true. Q2. What is your first line antibiotic treatment? Oral amoxicillin (has better activity than oral phenoxypenicillin against H. influenzae). Doxycycline or a macrolide (e.g. roxithromycin) could be added to cover for atypicals like Mycoplasma pneumoniae and Chlamydia spp. Some observational studies suggest better outcomes for pneumococcal pneumonia when beta-lactams are combined with macrolides or doxycycline. Penicillin-resistant pneumococci and H. influenzae are currently rare in Australia (in contrast to North America, where fluoroquinolones may be required as first line due to penicillin-resistant pneumococci). Q3. What if the patient is allergic to penicillin? Cephalosporins (such as oral cefuroxime) are safe alternatives in the absence of immediate hypersensitivity (urticaria, angioedema, bronchospasm or anaphylactic shock) or Stevens-Johnson Syndrome. Alternatively, doxycycline or a macrolide could also be used alone (in the United States about 30% of pneumococci are macrolide-resistant). The patient was managed on an outpatient basis. However, his symptoms worsened and he returned to the ED for assessment. The gram-positive organism cultured from the patient’s sputum grew in linear chains and susceptibility testing showed an MIC for penicillin of 8mg/L. Q4. What does this mean? Pneumococci with an MIC <2mg/L can be treated with standard doses of penicillins, whereas those with an MIC>2mg/l cannot as they lack full susceptibility to penicillin. Antibiotic selection should be as advised by an infectious diseases specialist. Vancomycin and fluoroquinolones are options. Q5. Which patients may have the severity of their illness underestimated by the PSI score? Young hypoxic patients with no comorbidities – especially those that have widespread infiltrates on their chest radiographs. The PSI score has been criticized as a means for triaging CAP patients to site of care and antibiotic selection. It is heavily weighted to age and comorbidities. In the cohort used to validate the PSI (Fine et al, 1997) only about a third of patients requiring ICU level care had Class 5 severity pneumonia. It is better at determining which patients can be successfully managed on an outpatient basis. Given the relatively poor prediction of ICU admission, some authorities have suggested that PSI Class 4 severity patients should be treated with same antibiotics as PSI Class 5. 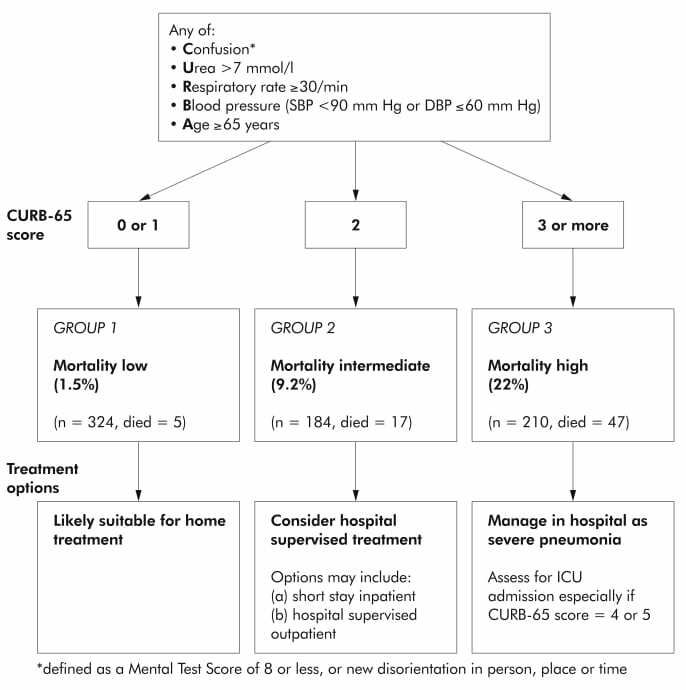 Others have suggested that the CURB score (aka the modified British Thoracic Society (mBTS) Severity Score) better predicts which patients need ICU admission. More recently, the CURB65 score (with a variant the CRB65 score if urea is not available) was validated internationally and was comparable to mBTS with the advantage of better stratification of patients suitable for outpatient management. More recent studies have suggested that CURB65 and PSI are comparable prediction tools, although CURB65 is a simpler rule (see references below). Neither excel at identifying patients requiring ICU admission. The SMART-COP rule was developed with this purpose in mind, and has been modified for use in tropical Australia (SMARTACOP). Unfortunately none of these rules are perfect and clinical judgment is paramount in the management of patients with potentially severe CAP. Regardless of the scoring system used, it is prudent to consider the young, sick, hypoxic pneumonia patient with bilateral or multifocal infiltrates as a severe case. A 55 year-old businessman returned from a conference in the United States a week ago. He has been progressively short of breath, with a moist cough and diarrhea. His chest x-ray shows a patchy infiltrates and his urine is positive for legionella antigen. Using the PSI score, he is Class 2 severity. Q1. What is the cause of this man’s pneumonia? This is the commonest cause of Legionella pneumonia. Other types of Legionella (including L. longbeachae, an occasional cause of CAP in Australia) are not detected by the urine antigen assay. Q2. What antibiotic treatment is first line? Total duration of treatment is for 7-14 days in the immunocompetent and 14-21 days in the immune suppressed. Note that IV administration of doxycycline is painful and oral administration has similar bioavailability. He was started on oral antibiotics but developed vomiting and worsening respiratory distress requiring ICU admission. Q3. What changes should be made to the antibiotic therapy? Change to IV administration of a macrolide (or doxycycline) as gastrointestinal absorption is impaired by vomiting. A 30 year-old previously well woman in Cape York has CAP affecting her left upper and lower lobes on CXR. She has no other medical problems. Her PSI score gives her Class 3 severity. Q1. What antibiotics would you use and for how long? Either benzylpenicillin IV (1.2g q6h) or amoxicillin IV (1g q6h) until improving clinically, followed by amoxicillin 1g po q8h for a total of 7 days. Patients in tropical Australia with no risk factors (see below) are treated with the same antibiotics as those in non-tropical Australia. Class 3 and 4 severity CAP are treated with the same antibiotic regimes. Her sputum sample culture grows a gram-negative bacillus. Q2. Do any changes need to be made to her antibiotics? or change penicillin/ amoxicillin to a third -generation cephalosporin (ceftriaxone or cefotaxime). Gram-negative pathogens, including Klebsiella pneumoniae and Pseudomonas aeruginosa, are more likely to be present in severe CAPs and in those with risk factors. Q3. If she has a history of immediate hypersensitivity to penicillin, what antibiotic should you use instead? Moxiflxacin is a ‘fourth generation’ fluorquinolone. It differs to ciprofloxacin in that is has excellent activity against streptococci (including S. pneumoniae), staphylococci (except MRSA) and anaerobes, but is less active against P. aeruginosa. An indigenous 38 year-old female from the Top End of the Northern Territory has CAP. It is affecting the right upper lobe predominantly, although bilateral patchy changes are also seen on CXR. She has a history of diabetes and her PSI score indicates Class 3 severity pneumonia. Q1. What is your first line antibiotics? Ceftriaxone 2g IV q24h andgentamicin 4-6 mg/kg IV stat are given for Class 3 and 4 severity CAP in tropical Australia if risk factors are present. Q2. In addition to the usual causes of community acquired pneumonia, what other causes may affect people in tropical Australia, particularly with risk factors? Q3. What are the risk factors for infection by these organisms? She develops cavitating lesions in her consolidated right upper lobe and a blood culture shows gram-negative bacilli growing in Ashdown’s medium. Q4. What change would you make to her antibiotics? Ashdown’s medium contains crystal violet and gentmicin – it is used to selectively grow Burkholderia pseudomallei. Her antibiotics should be changed to ceftazidime 2g IV for at least 14 days. 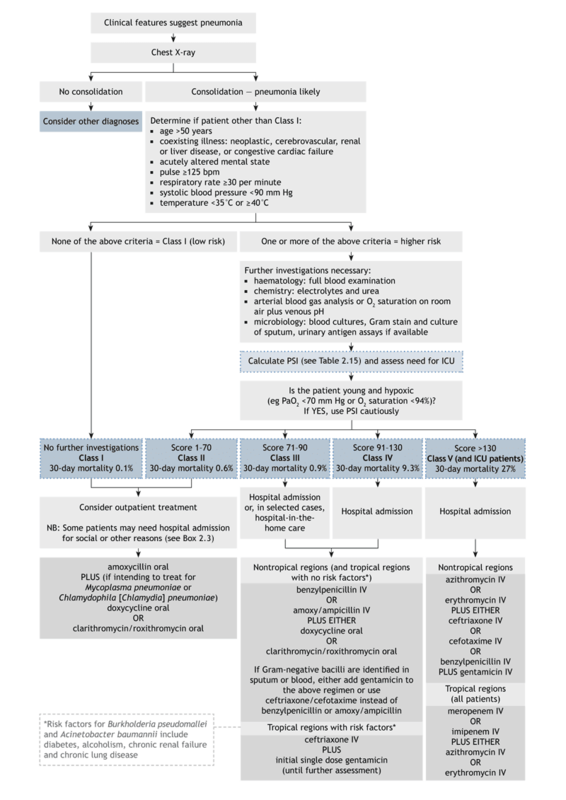 If she deteriorates and requires ICU admission this should be changed to meropenem 1g q8h. G-CSF may be given although its efficacy is uncertain. A 60 year-old man is BIBA in severe respiratory distress. He has bilateral lung infiltrates on CXR. He is diagnosed with community acquired pneumonia and has a PSI score with Class 5 severity requiring intubation and ventilation. Q1. What antibiotics would you use? Collateral history is obtained and it is determined that before becoming critically ill, the patient had been suffering from an influenza-like illness. Gram-positive cocci are noted in his endotracheal tube aspirate. Q2. What causative organism do you suspect and what antibiotic changes would you make? This organism may be cause pneumonia primarily, or pneumonia may follow an influenza-like illness, aspiration or occur in the context of endocarditis. vancomycin 25mg/kg up to 1g bd IV (rather than flucloxacillin 2g IV q6h) due to the possibility of MRSA. Q3. 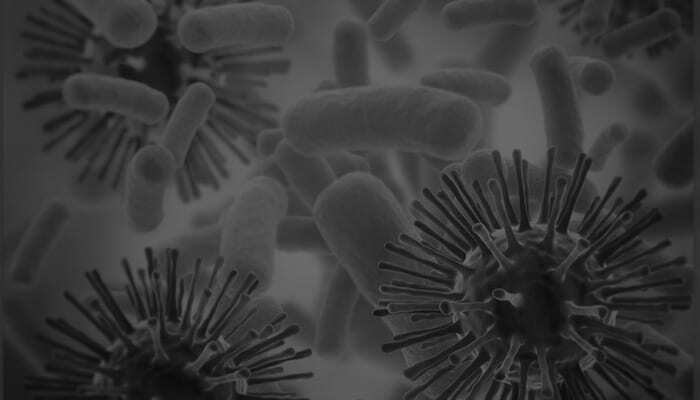 Which patients may have antibiotic-resistant forms of this organism and how does the community acquired form differ from the hospital-acquired form? Community acquired MRSA may be more virulent than hospital-acquired MRSA due to the presence of the Panton-Valentine leucocidin [PVL] virulence factor. However, susceptibility testing is vital as community-acquired MRSA is more likely to be susceptible to other antibiotics such as clindamycin and cotrimoxazole. Thanks for these cases Chris, this is a great revision tool!